I have found that these needles help produce a very nice quality coverstitch but they are hard to find. I could not find them at my local JoAnn's nor could I find them in the NYC garment district. My Bernina dealer does not carry them either! Even though Schmetz manufactures the JLX2 needle, they do not have them available on their website! 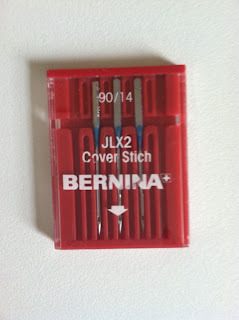 Of course, you can find just about anything online if you look long enough so I found 3 online sources for the JLX2 needles: Sew4Less; they carry the Organ brand and The Colorful World of Sewing; they carry the Schmetz brand. CTSUSA carries the Organ brand as well but only in a box of 100 needles. Upon comparing the needles, I discovered that the JLX2 needles I purchased online were just a tad bit shorter than the JLX2 needles that came with my serger. See the photo below. 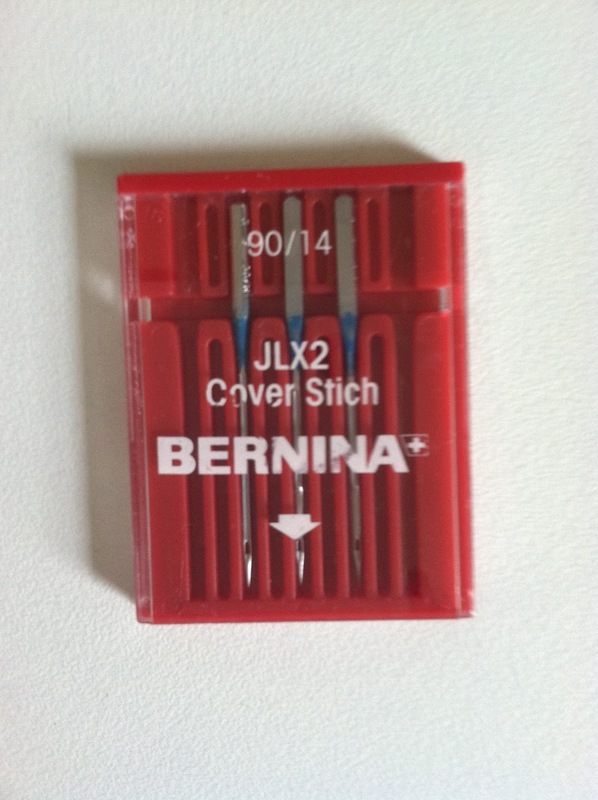 The JLX2 needle I purchased online is the 3rd to the right in the photo below. The eye is just a bit smaller too. 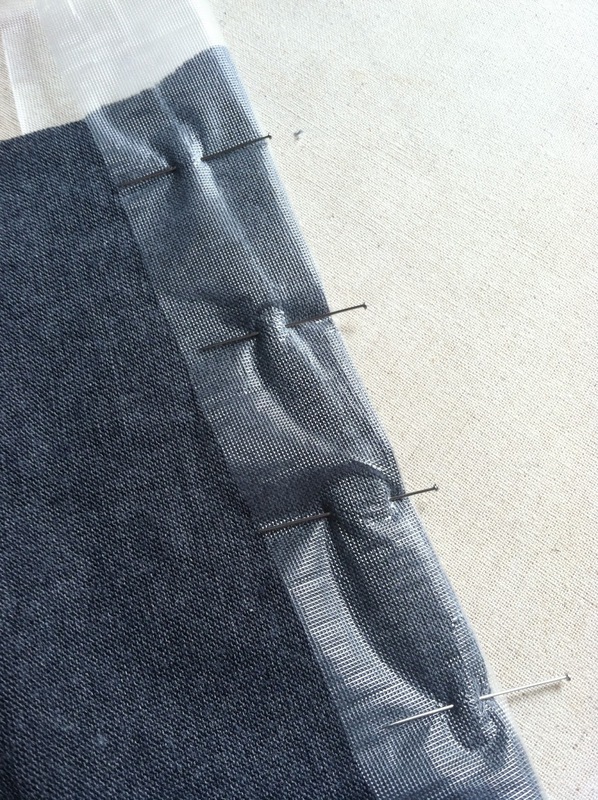 The center needle is the one that came with my serger. 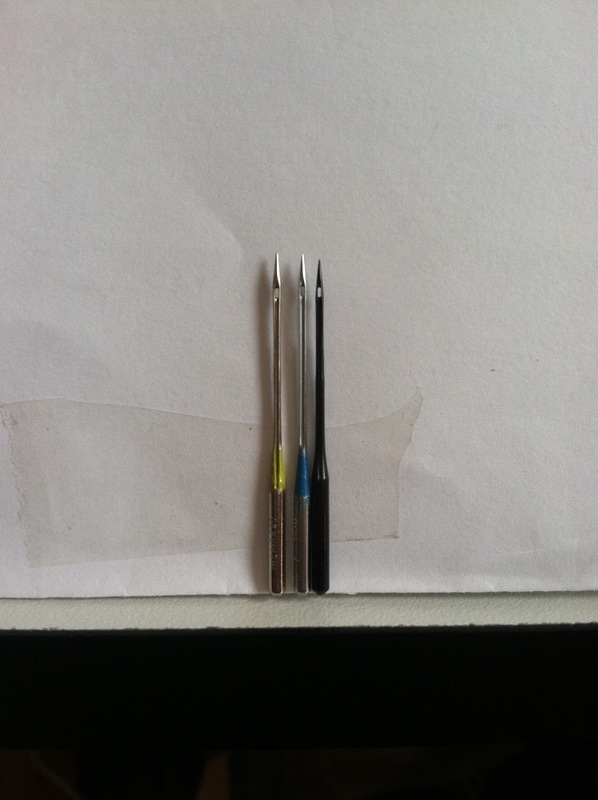 I compared the needle that came with my serger to other needles in my stash and was happy to discover that the stretch needle (much easier to find) is identical in length to the ones that came with my serger and the eye is the same size. 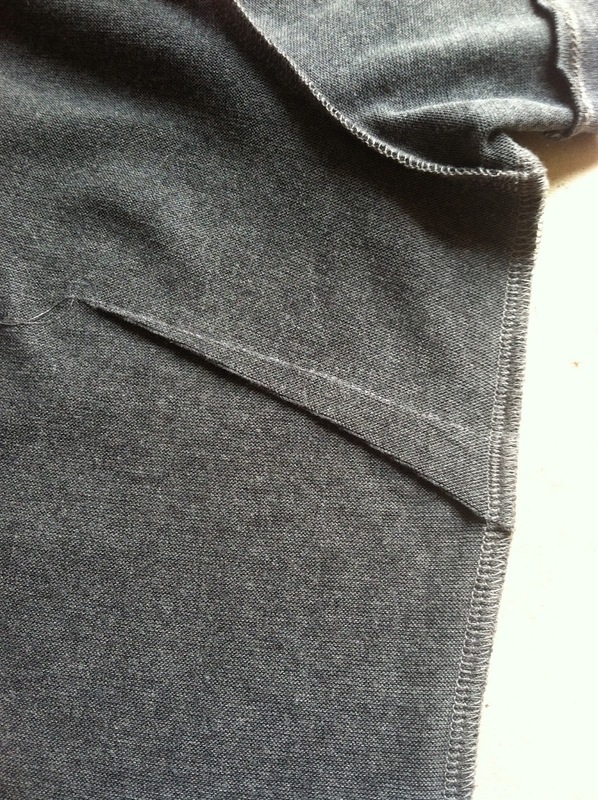 The stretch needle is the first one in the photo. 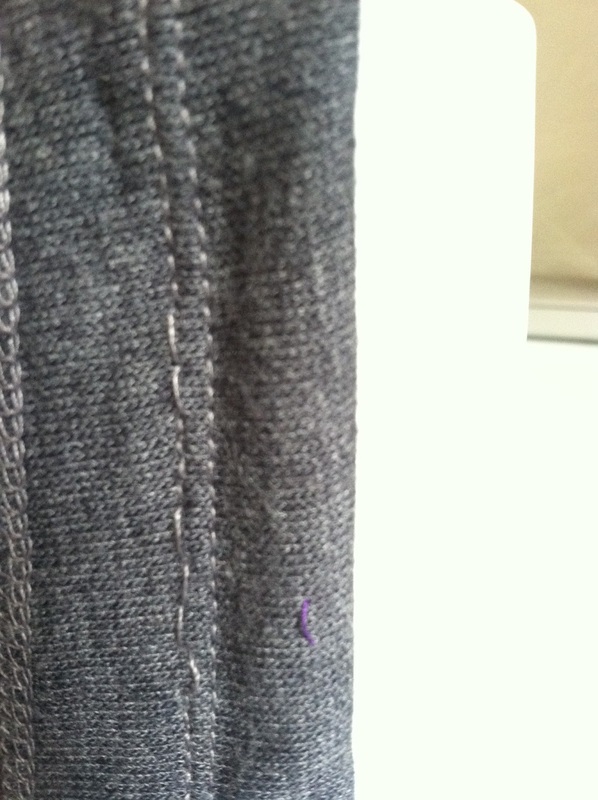 I replaced the left needle with the stretch needle and got a beautiful coverstitch! Hurray! 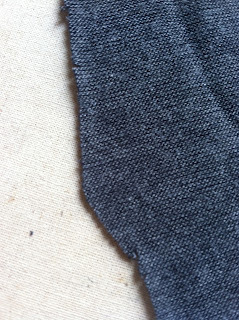 Hoping I had not wasted my money on the Schmetz JLX2 needles I purchased online, I tried replacing both the left and right needles with the online JLX2s and also got a nice coverstitch - double hurray! 1. 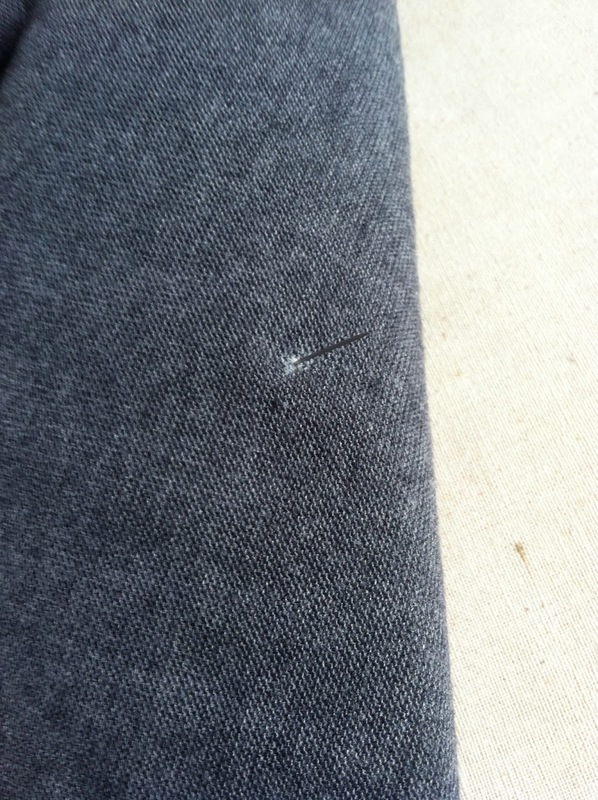 Compare the new needle with the old needle that has worked well to see whether there are any major differences. 2. 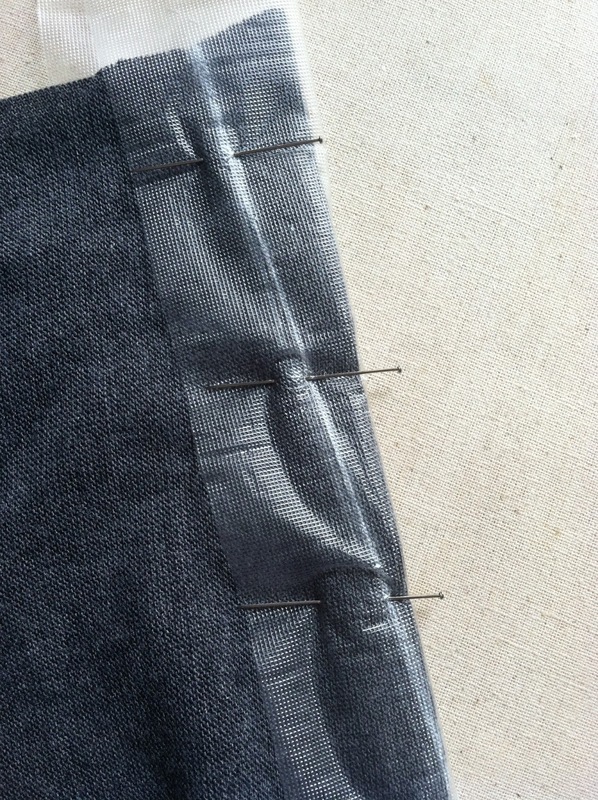 The stretch needle produces a nice coverstitch for the Bernina 1300 MDC. 3. I can use the JLX2 needles I purchased online as long as all of the needles for the coverstitch I am working on are the same length. 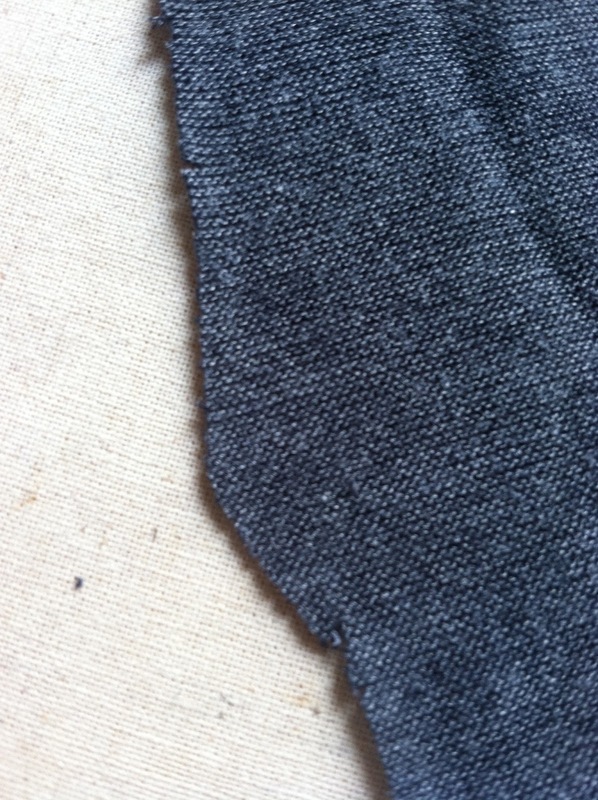 Of course, the fabric can also make a difference so always test on swatches before working on your project. 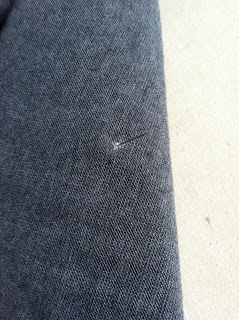 Most ready to wear knit tops do not have darts. They are not seen as necessary because knits stretch and give enough to accommodate a bust. However, if you are full busted, many of these dartless knit tops do not fit properly. You may find stress lines across the front along the bust line as well as diagonal drag lines on the side from the bust level to the waist/hip level. 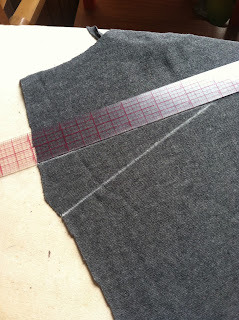 For me, there are times where I can get away with sewing a knit top without a dart if the fabric is stretchy enough. 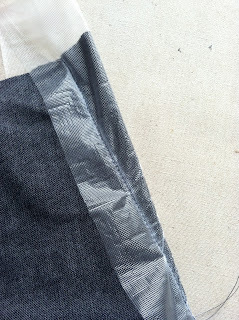 However, not all fabrics are stretchy enough. 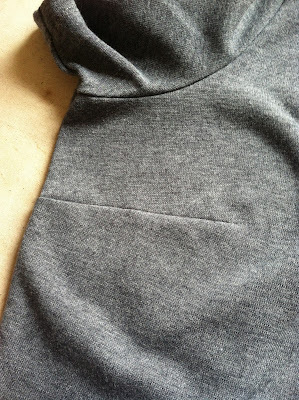 This week I made a simple grey T-shirt and the fabric, although a knit, required that I use darts for shaping. 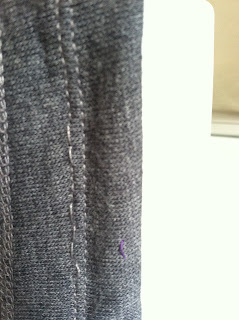 I thought I would share my method of sewing darts in knits. The primary concern with sewing a dart in a knit is to sew the dart nice and straight without stretching the fabric as you sew the dart. My solution is to use Solvy Water Soluble Stabilizer. Darts aren't always necessary in knits but for the more generously endowed, they are often indispensable for a proper fit.